T.John Institute of Technology, Bangalore has advertised in THE TIMES OF INDIA newspaper for recruitment of Professor / Assistant Professor jobs vacancies. Interested and eligible job aspirants are requested to apply within 03 days from 13th February 2019. Check out further more details below. 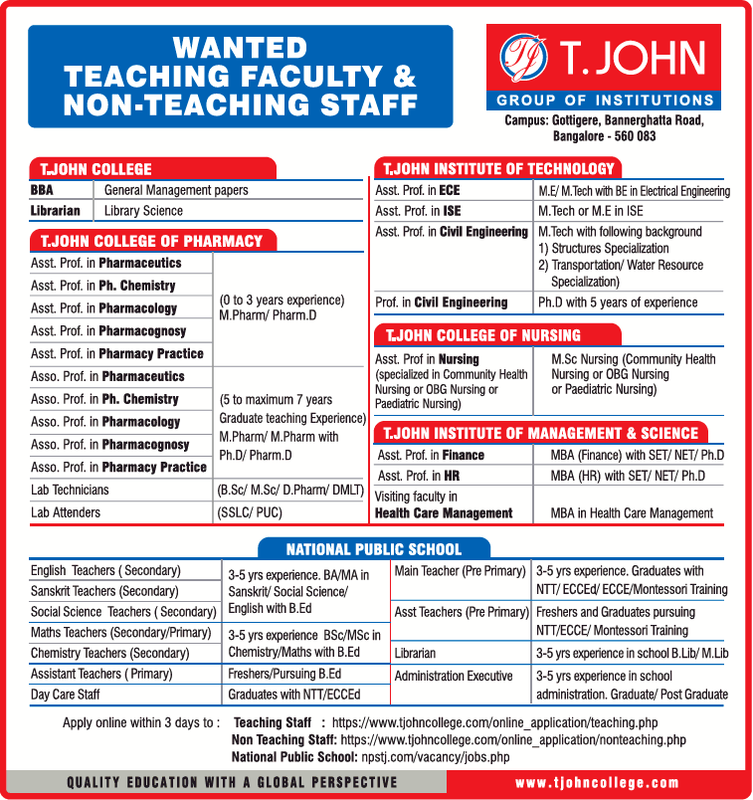 About College : T. John Institute of Technology is a private engineering college located in Bangalore, Karnataka, India. It was established in 2006 by Thomas P John and is part of T John Group of Institutions.